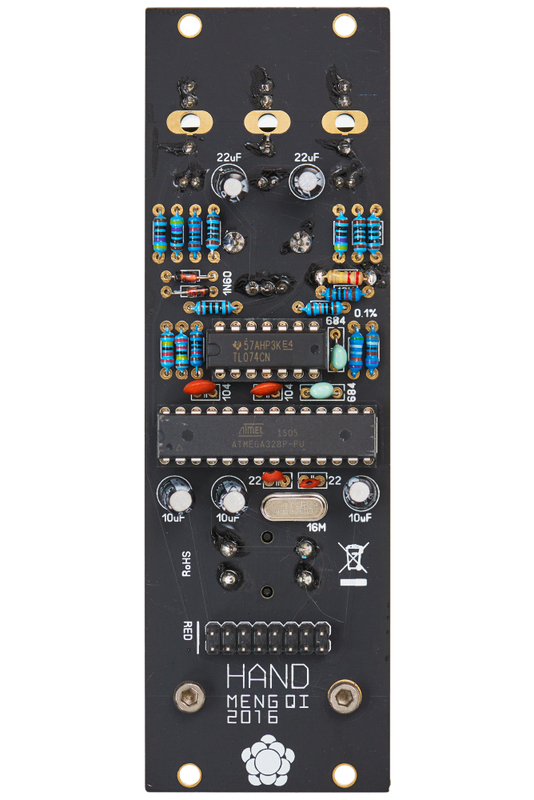 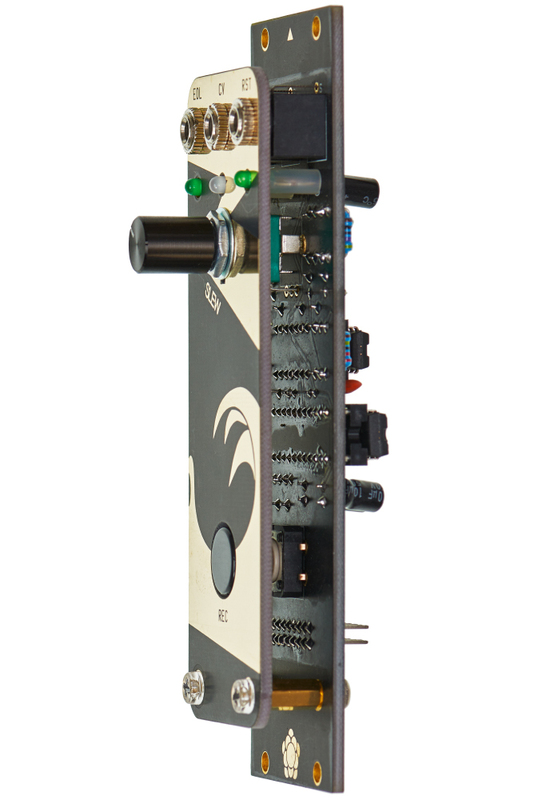 When you tap the front panel, the audio is converted into CV and allows you to control a collection of real time functions including an LFO or envelope, a clock source and a trigger delay. 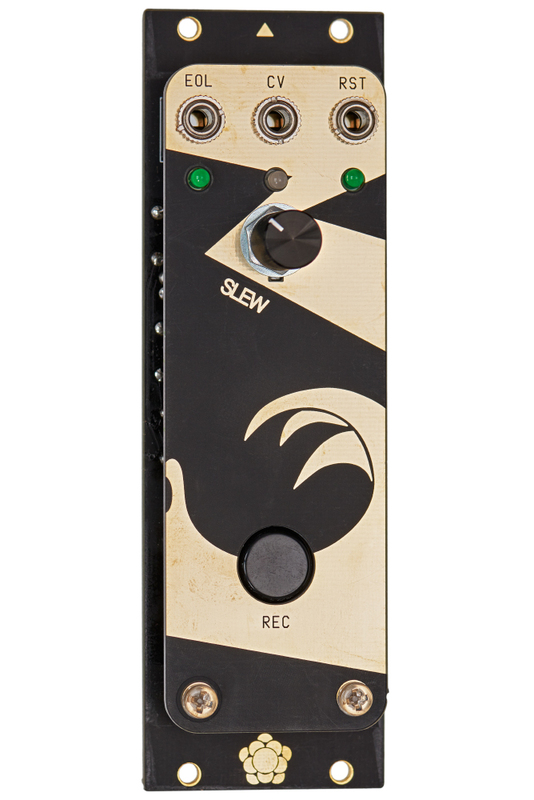 It's possible to switch between LFO and envelope mode when holding the Rec button for 4 seconds. Slew smoothes the slopes and the Rec button allows you to record the gestures for 2.22 seconds max.